In Dow Jones news, the Dow fell 21 points Wednesday as investors pored over a new tax plan by President Donald Trump. President Trump called for the corporate tax rate to fall from 35% to 15% for all U.S. businesses. Congress may soon vote on a new healthcare law to replace the Affordable Care Act. The CBOE Volatility Index – largely considered the markets' fear gauge – fell another 0.2% on the day. The Dow dropped 21 points after the Trump administration unveiled what it considers to be the largest tax cuts in the nation's history. 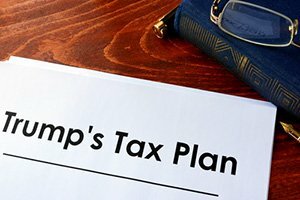 The president is advocating for a steep drop in the corporate tax rate, from 35% to 15%. He also wants a break for companies that have a steep pile of cash sitting overseas. The top 50 U.S. companies, a list that includes firms like Apple Inc. (Nasdaq: AAPL), have a combined $1.4 trillion sitting offshore. In other Washington news, Congress may soon vote on a new bill to replace the Affordable Care Act. Today, the House Freedom Caucus said that its members would support a new replacement bill. 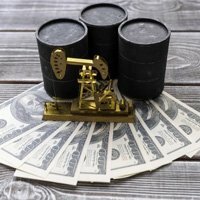 Crude oil prices were down after the Energy Information Administration announced a large draw in U.S. oil inventory levels. The WTI crude oil price today dropped 0.54%, while Brent crude dipped 1.04%. Brent prices remained low due to increasing concerns that OPEC members and non-members, like Russia, may not extend a deal to reduce excessive production. Russia announced Tuesday that its production levels would hit a 30-year high if the global oil cartel fails to extend the agreement. Shares of Twitter Inc. (NYSE: TWTR) rallied nearly 8% Wednesday after the company reported a huge surge in user growth and an uptick in quarterly profits. The firm reported a yearly growth of 6% in its total monthly users. Over the previous quarter, the microblogging giant added 9 million new monthly users. Despite the uptick, the firm still reported a net loss. In other earnings news, shares of Boeing Inc. (NYSE: BA) fell 0.9% after the company reported a decline in quarterly revenue. Despite today's small decline, BA is presenting investors with a buying opportunity. Money Morning Executive Editor Bill Patalon has called Boeing the "ultimate Rocky Balboa stock." In a short video, he explains why you should buy BA stock and keep buying it whenever it dips. Watch it, right here. Alphabet Inc. (Nasdaq: GOOGL) could be looking at a potential split in the near future, thanks to overzealous government regulators and Uncle Sam's incessant desire to meddle with the private sector. Here's why the government is considering a deal to break up the company and what it means for shareholders. Other top stocks to watch Wednesday included Chipotle Mexican Grill Inc. (NYSE: CMG) and Northrop Grumman Corp. (NYSE: NOC). Here's more on why these stocks were generating headlines. Retail Inventories at 8:30 a.m.
Wholesale Inventories at 8:30 a.m.